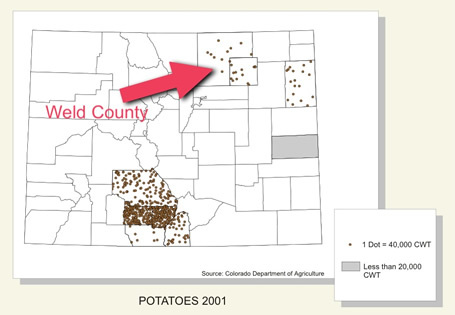 Greeley was famous for their potatoes in the early days. However, overtime the agricultural products produced changed. Look at the three resources and explain the changes in Greeley's agricultural products.